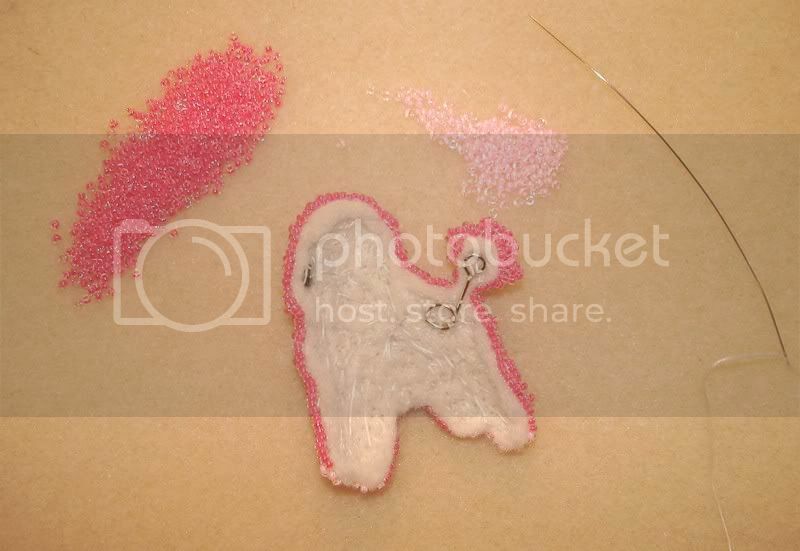 Beaded Miniature Poodle brooch. 1.5″ wide x 2″ tall (4cm x 5cm). Available at The Lone Beader’s Gallery Shop. Click for more pics. >LOVE the Pink Punk Rock Poodle…she is great!!! And, listening to The Ramones is perfect! ;-)Any kind D…you do them all SO WELL!!! >Aw that is so cute! >Your pink poodle made me smile when I saw her. She is absolutely fabulous!How about a greyhound? >Your bead work is absolutely amazing. >Totally love the pink! And yes, I can imagine you bobbin’ your head to the Ramones as you stitched this — it fits! >that poodle is awesome! so cute! >great work! love the color. >I love the pink poodle.Can you make a cat? >i love this guy! beautiful work. >How about a Border Terrier? I like the pink poodle. It isn’t as if a pin is real either! 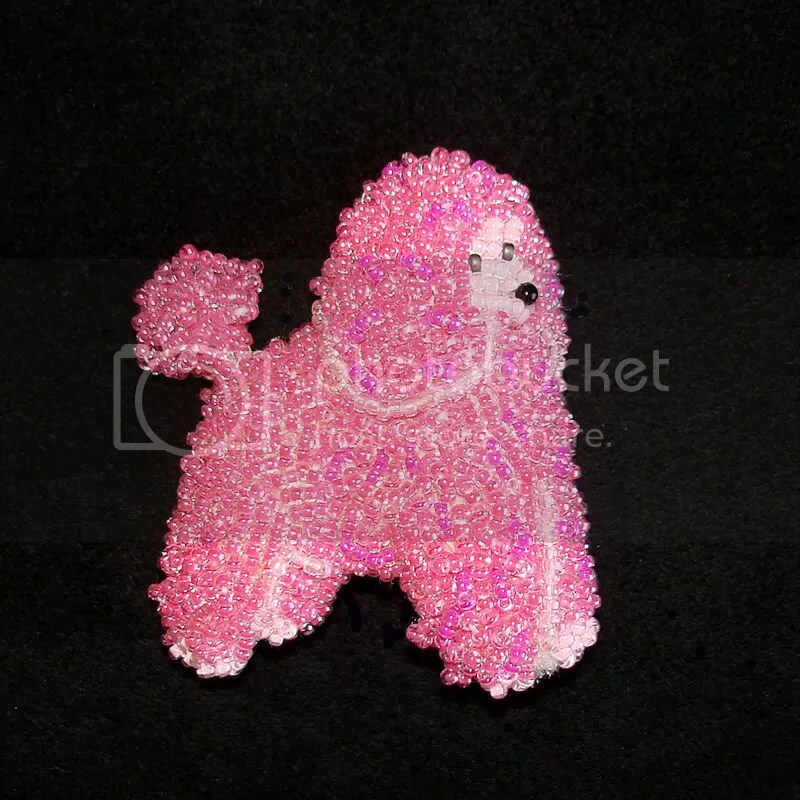 It is a pin, not a dog, so I’m fine with a beaded pink poodle. >I love love LOVE it! How fun! >Adorable poodle! Have you ever beaded any miniature schnauzers?